Dr. Carlson came to Pocatello with his family from Des Moines, Iowa. They love Pocatello and all of the outdoor activities it has to offer, especially golf and skiing. Dr. Carlson is a board certified ob/gyn and specializes in obstetrics and gynecology including regular and high risk pregnancies, workup and treatment of abnormal pap smears, annual (yearly or wellness) examinations. Dr. Carlson performs urinary incontinence testing and surgeries and complex gynecological surgeries. Dr. Carlson is also certified to perform the Essure permanent birth control procedure. Dr. Carlson also specializes in the da Vinci robotic surgical system. 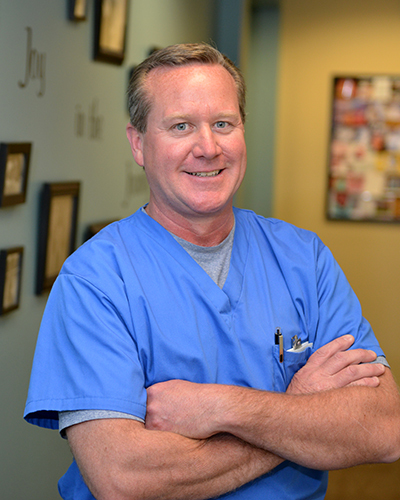 Dr. Carlson provides in-office hysteroscopy and ablation for heavy periods.